Bulgaria’s day of national mourning on March 6 2013 for Plamen Goranov, the protester who died several days after setting himself on fire outside the Varna municipal offices, saw no easing of the flow of statements and stunts amid the continuing political crisis. Addressing the latest of the “expected to be the last” meetings of his cabinet, Boiko Borissov reflected both on the state of his own health and that of the country. “To the horror of my enemies, I am fine,” a transcript of the cabinet meeting quoted Borissov as saying, after he twice was admitted to hospital with high blood pressure after announcing the resignation of his government. “I started going for walks for about an hour or more. I hope that my health will be stabilised in about a week and thus I will not give them this pleasure [to see me ill]. I have always worked for a cause, with my heart and soul, and that is why this affected me this way. However, I really wish for Bulgaria to continue its way and develop, not to be destroyed and ruined,” Borissov said. He said that the only reason for the government to have handed in its resignation was to avoid the shedding of people’s blood, “even a single drop,” he said. “That is why today is a day of national mourning, because this person – Plamen Goranov, one of the protesters, shed his own blood. That is why we made this decision,” Borissov said. “He had a cause, and that is why yesterday I made this decision, which you backed, of course, and namely – to declare a day of national mourning. I think there are two such cases, when a day for national mourning was declared for one person. This person had a cause. I listened carefully to what his friends said. I do not know this person, but he went there in the name of a fair cause – something we have always wanted. Power belongs to the people, they elect the government, but the people should be satisfied with this government. This is what we can do at this moment. From now one, we can only draw ourselves some conclusions,” Borisov remarked. * In his latest walk-out of something during the political crisis, ultra-nationalist Ataka party leader Volen Siderov led his MPs out of Parliament, pledging not to return to the soon-to-be-dissolved National Assembly after MPs rejected his proposal to revoke the licences of the three foreign-owned energy distribution companies and to nationalise the companies. His MPs put up a display of photographs of those MPs who had rejected the proposal. Siderov also expressed umbrage at Parliament rejecting his proposal to declare May 17 a day of tribute to Bulgarians killed during the centuries of Ottoman rule. He contrasted this rejection to what he called Parliament approving “declaration after declaration in relation to the so-called Holocaust”. 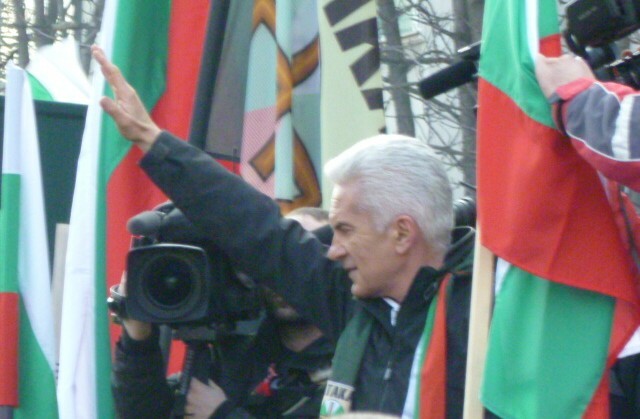 With the exception of his Ataka party, Siderov said, MPs valued Jews more than Bulgarians. He said that Israel never had officially thanked Bulgaria for the saving of the Jews during World War 2 but instead had “kept nagging us” about the Jews from northern Greece and Yugoslavia who had been sent to the death camps. Siderov’s comments come in a year that Bulgaria and Israel are jointly marking the 70th anniversary of the prevention of the deportation of Bulgarian Jews to Nazi Holocaust death camps, and on a day that Bulgarian President Rossen Plevneliev met his Israeli counterpart Shimon Peres in Brussels at the opening of an exhibition in the European Parliament dedicated to the theme of Bulgaria’s prevention of the deportation of the Jews. * President Plevneliev had been “given the freedom to work on designing the caretaker cabinet,” Tsvetan Tsvetanov, deputy prime minister and interior minister and deputy leader of Borissov’s party GERB, said in a television interview on March 6. As Mediapool put it, it was not clear who had “given” this freedom to Plevneliev, given that the rights and obligations of the head of state in a political situation such as the current one are spelt out in the constitution. Tsvetanov said that there had been an increase in organised crime in the country since the government stepped down and some organised crime figures had been “celebrating” the fall of the GERB government. 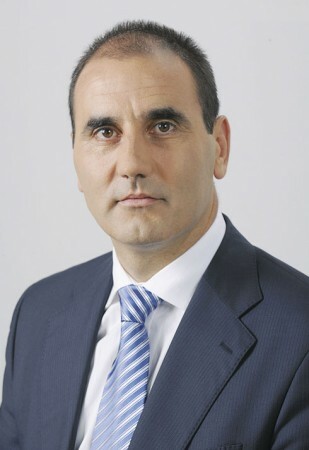 * A group of protesters nominated economist Dimitar Ivanov to be the caretaker prime minister. Ivanov’s name had been sent to President Plevneliev, local media said. About 200 protesters rallied outside Parliament and 10 were admitted as “guests” after Ataka leader Siderov arranged visitors’ passes for them. After gazing at the National Assembly from the public gallery, they were invited to a meeting with Speaker Tsetska Tsacheva, encountering some difficulty about who should attend because the room was too small for all of them. Emerging from the talks, one of the protesters, Ivailo Dukov of the Eagle Bridge association, told reporters that the occasion had been useless because Tsacheva had been vague, evasive and the talks dwelt on “irrelevant” topics. * Bulgaria’s acting Cabinet approved the allocation of 21 million leva to hold the parliamentary elections. The bulk of the money, 13.25 million leva, will be spent by the government for logistics purposes and as remuneration for local election officials. The Central Electoral Commission will receive about three million leva and a further 3.3 million leva will go to the Interior Ministry to pay the police officers on duty on election day. Separately, the Cabinet approved the allocation of nine million leva for various purposes: four million leva to finalise construction work on the national museum complex in Sofia, which Culture Minister Vezhdi Rashidov dubbed “the Bulgarian Louvre”; 2.9 million leva for construction of a railway overpass in Bourgas; 1.7 million leva in additional funding for sports schools; and 800 000 leva for several archaeological projects.